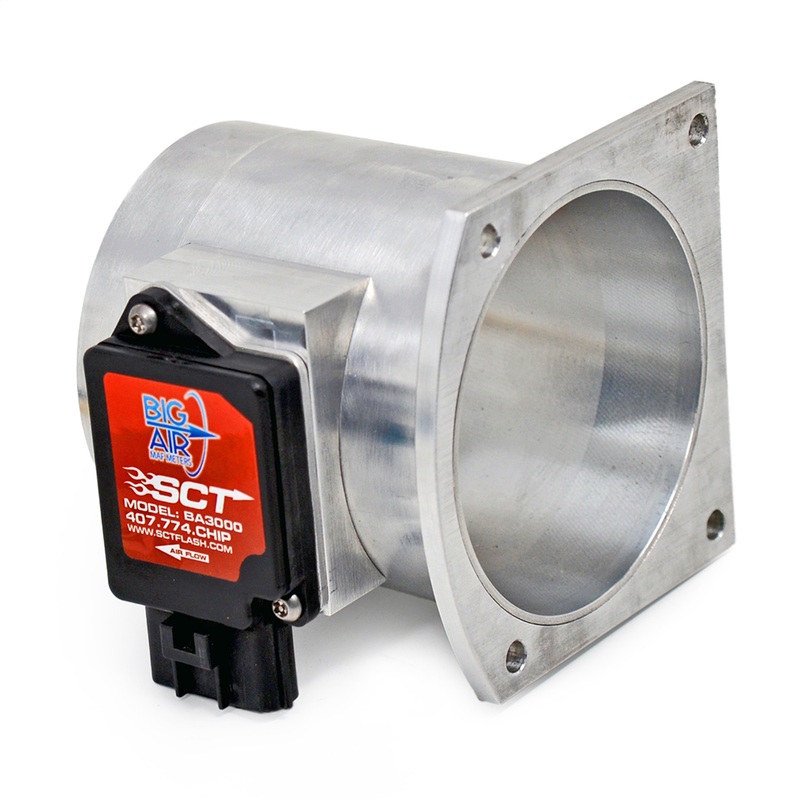 SCT's Big Air MAF Meters are great for modified vehicles where the stock mass air meter pegs due to increased airflow. 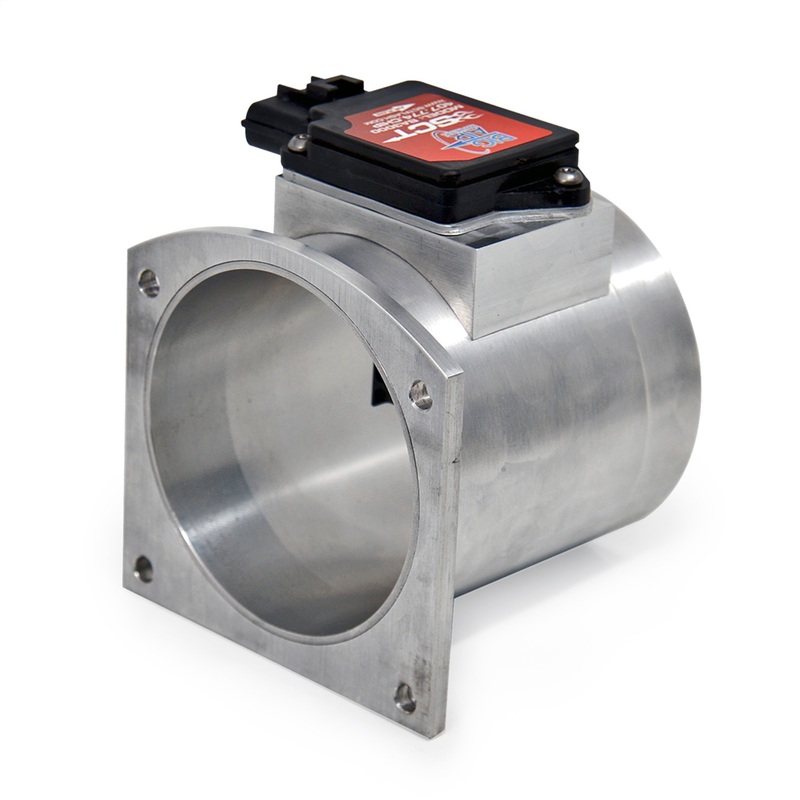 SCT's Big Air MAF Meters feature OEM quality calibration for factory level drivability, repeated accuracy, and reliability. 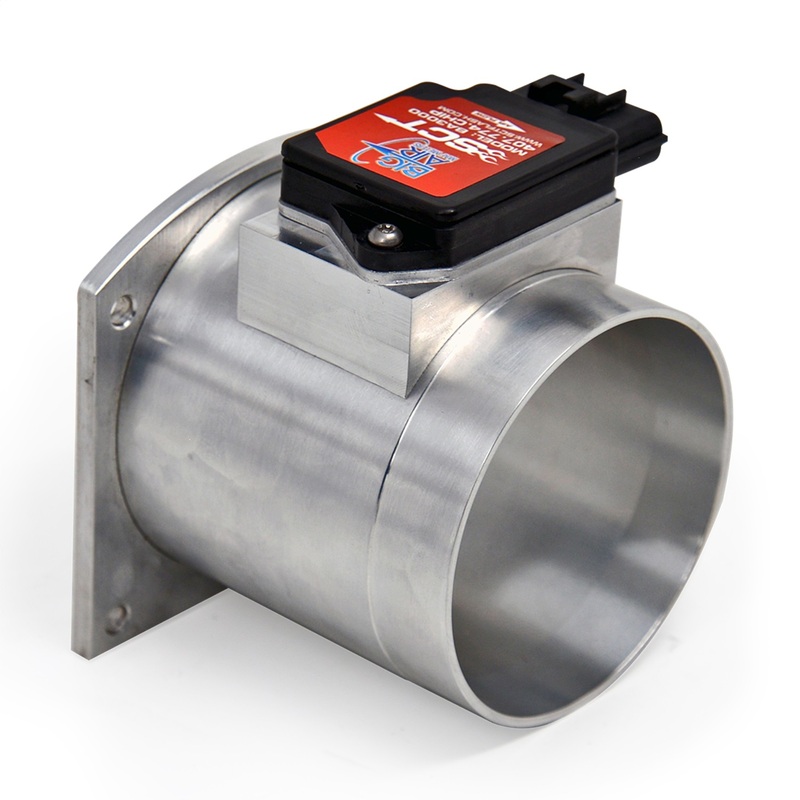 The BA3000 90mm MAF Meter supports 400rwhp to 725rwhp with centrifugal blowers and 400rwhp to 825rwhp with Roots style blowers. 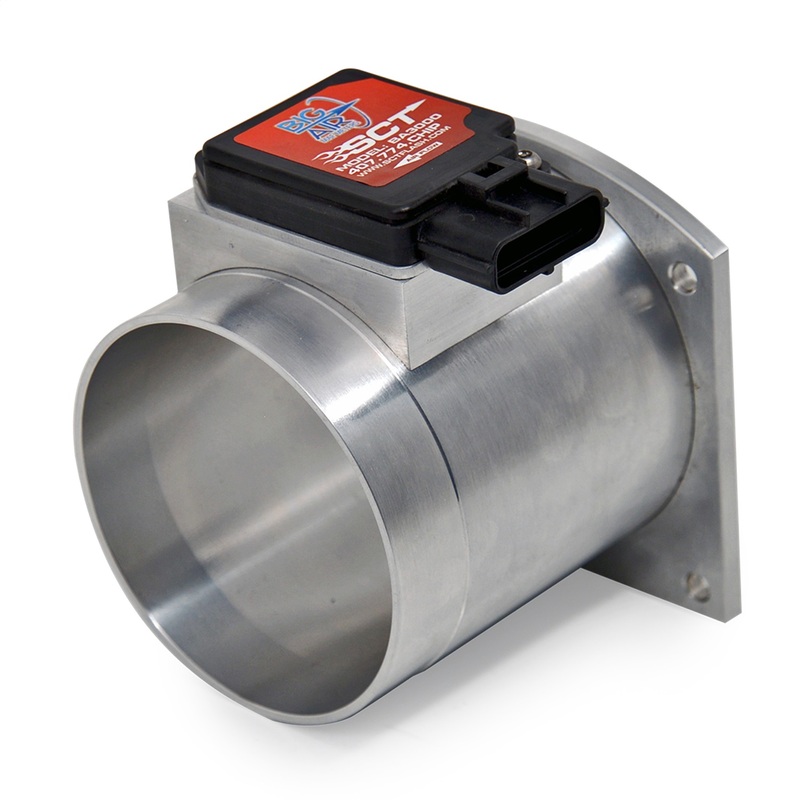 It features a large 90mm billet aluminum housing and can be utilized on either blow-through or draw-through applications.